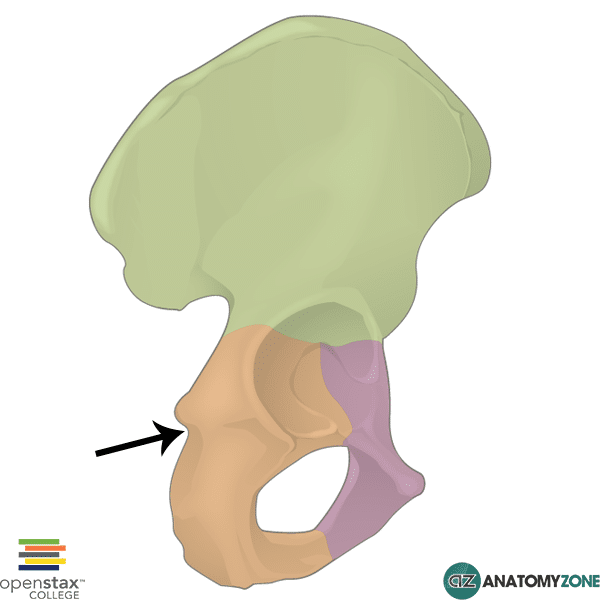 The structure indicated is the lesser sciatic notch. The greater sciatic notch lies between the ischial spine (inferiorly) and the posterior inferior iliac spine (superiorly). The sacrospinous ligament which attaches from the ischial spine to the lateral aspect of the sacrum and coccyx converts the greater sciatic notch into the greater sciatic foramen.